March 8, 2018--Done, and it didn't take long at all. For the most part, am pleased with how it turned out. 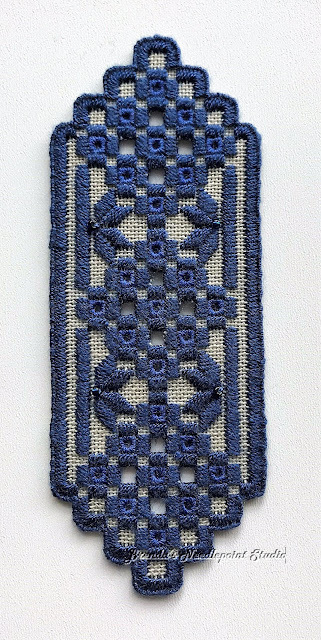 I see some areas where my stitching (especially the buttonhole stitch) needs improvement, but the next one I do will look better. Even though it's supposed to be reversible, I think it looks a bit messy on the back. All in all, a fun project and great practice for my planned project called Christmas in the Heartlands by Cindy Valentine (click here to see a photo). 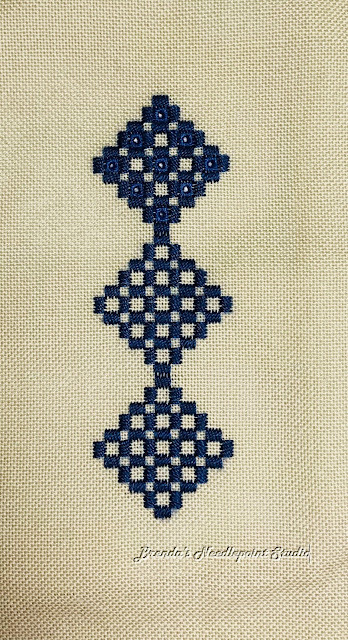 March 7, 2018--I haven't done much hardanger, but love its simplicity and beauty (actually, it's not so simple). So when a member of Delaware's Seashore Chapter of ANG, Lucille C., volunteered to teach a class on how to stitch a simple bookmark, I immediately signed up. 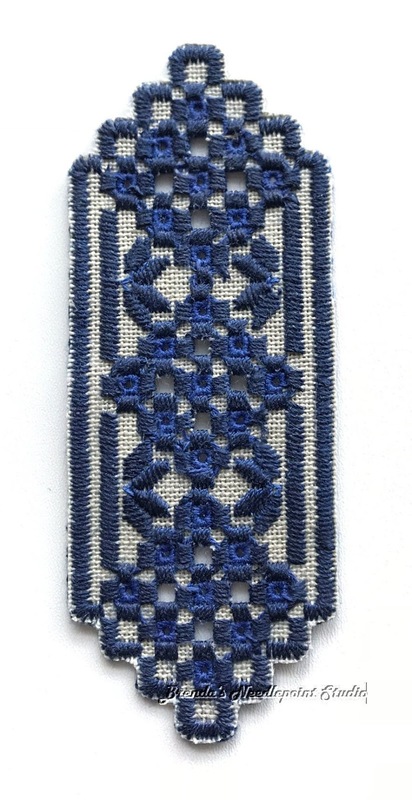 She designed this beautiful piece, wrote the stitch guide and gave us wonderful tips and tricks during the class. Below is my progress to date. 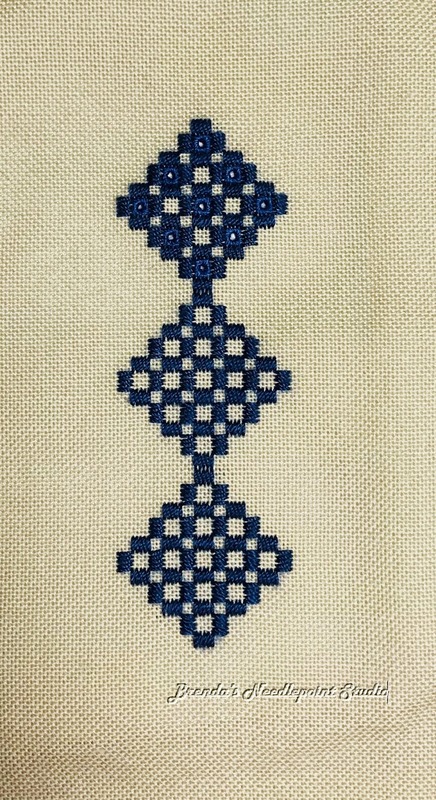 BTW, this is supposed to be reversible when done. It looks lovely! This is a technique I’ve always wanted to try but am always too scared!